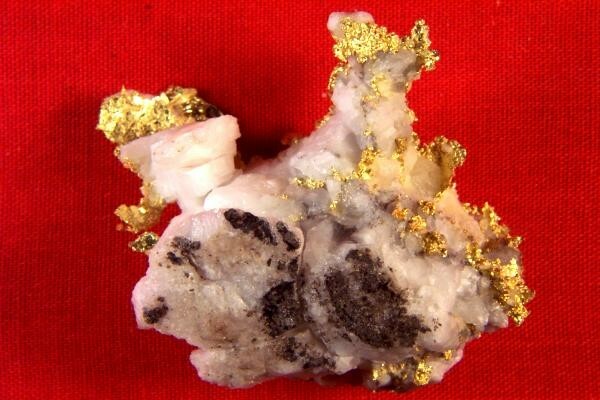 On consignment from a prospector in California, this incredible gold specimen is loaded with brilliant crystalline gold. 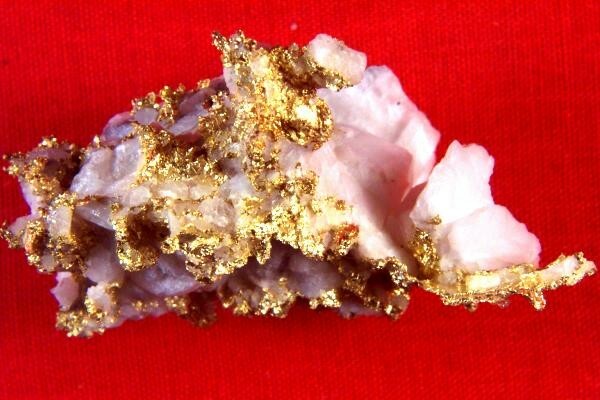 It has an amazing crystalline structure with a flashy mirrored crystal hosting a naturally etched trigon on the crystal face. very rare and amazing to see. 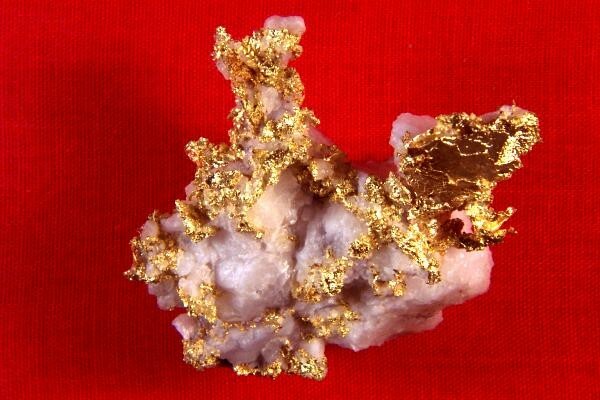 It is from the Harvard Mine in Jamestown, California. 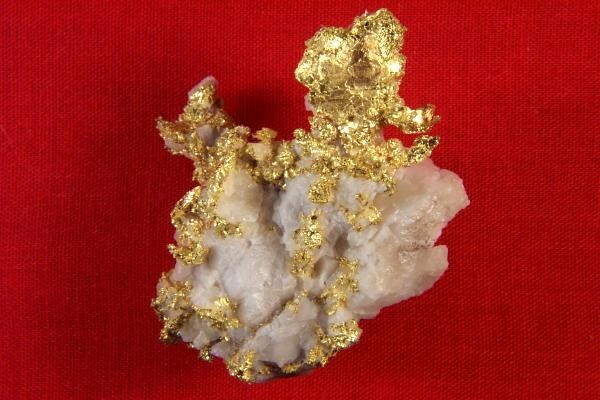 The mine has been closed since 1994 so it is rare to see a gold specimen from this location for sale. This one is extraordinary and is a rare collectors item. The quartz is white with some graphitic slate on the back side to add to the rarity. The size is 1.6" long x 1.5" wide x 3/4" thick. The weight is 40.1 Grams.